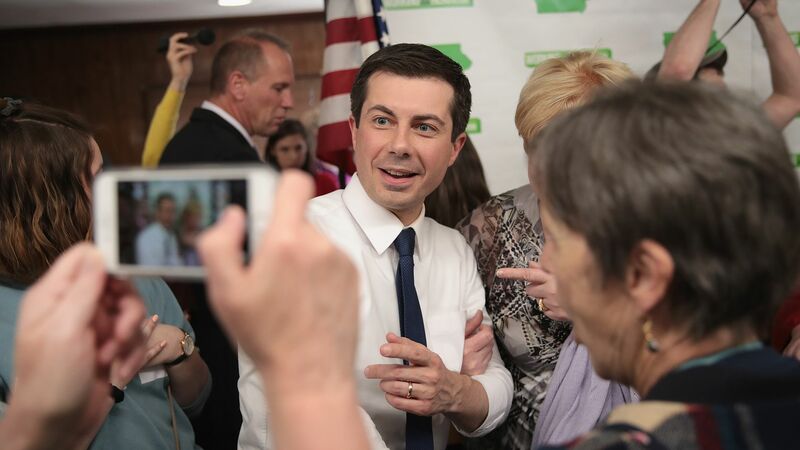 Democratic presidential hopeful Pete Buttigieg's Tuesday night town hall in Des Moines, Iowa, was so packed, it was standing room only — despite his expectations that only 50 people would turn up, the Quad City Times reports. Details: More than 1,600 people turned out to hear the South Bend, Indiana, mayor speak at the rally inside the gymnasium of Franklin Junior High School. It's another sign interest in him is continuing to soar, despite being relatively unknown at a national level when he entered the race in January.